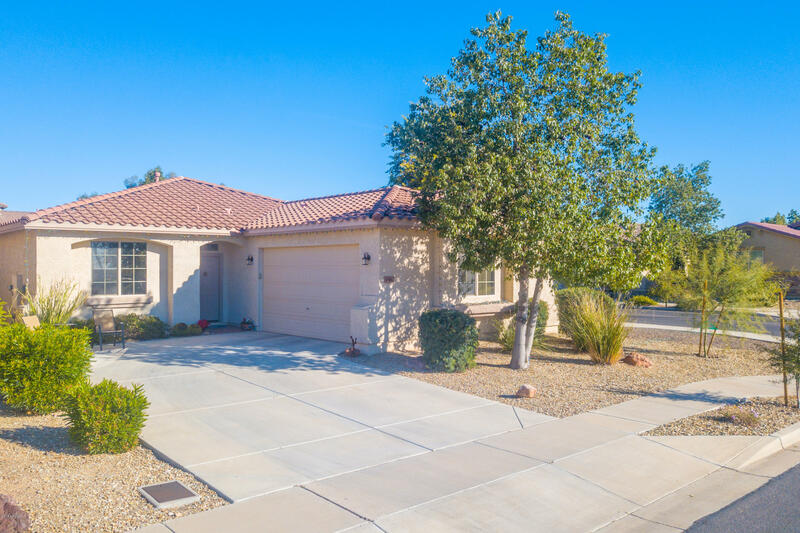 Beautiful 4 bedroom 2 full bath home in the Community of Desert Oasis, a friendly community with lots of green belts, walking/biking paths, HUGE community pool, and located just across from park and within walking distance to the elementary school. You will find a spacious open, split floor plan, a lovely kitchen with cherrywood cabinetry, granite slab countertops, breakfast bar, and stainless appliances. The master is complete with double sinks, separate tub/shower, and private toilet room. You will love your new extended covered patio that runs the entire length of the house! This is a turn-key, move-in ready, home just waiting for you! Furniture is available on a separate bill of sale.